Shanesha Taylor sat down for her first interview since the news that she reached a deal with prosecutors in her child endangerment case. On the Today show, Taylor explained that she does not have custody of her children but sees them every weekend. She discussed the arrange with Matt Lauer, "We definitely have a lot of family time and do as many family activities as we can in a short two day period." 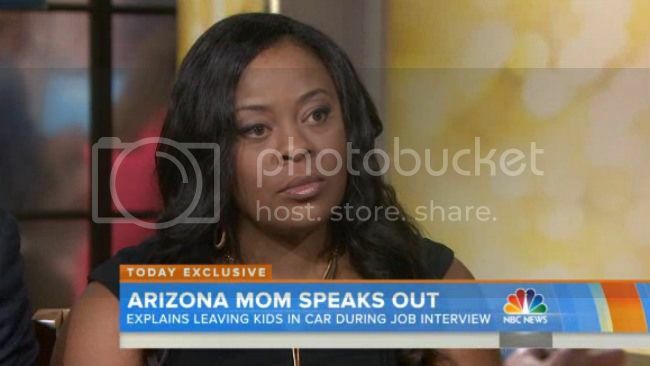 When pressed about her choice to leave her children in a hot vehicle while she interviewed for a job, Taylor detailed her predicament. "It was planned out beforehand and the plans fell through. I actually had a sitter scheduled and that person wasn't available or they...I guess they flaked on me is the best way to say it." She went on, "It was a moment of desperation. It was me knowing my family was in crisis and knowing that I had to make a choice between providing for my children or caring for my children."